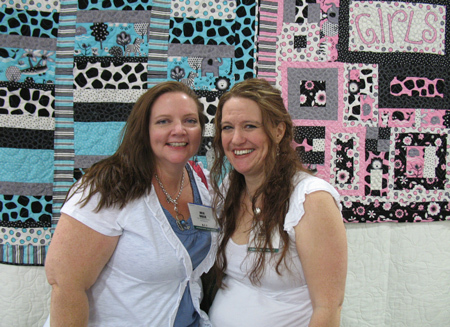 According to random.org, the winner of a copy of Quiltmaker’s 100 Blocks, Volume 3, is… Subee Mohr! Waving back at you out there in Indiana, Subee! 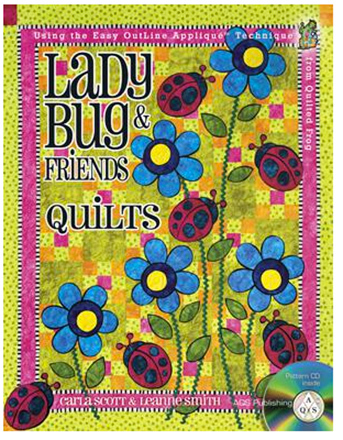 I’ll be contacting you for your mailing info so that Quiltmaker can send you the magazine. 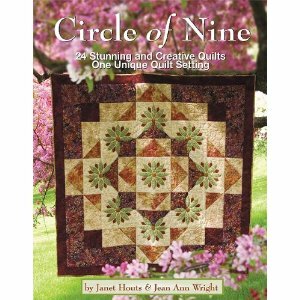 The second winner, who will receive one of my books, namely Growing Hearts to Appliqué, is… Joan Amundsen. Congratulations Joan! I’ll be in touch for your address as well. BTW, since I did not get my post up quite in time (I made a scheduling mistake with the 24-hour clock), several early birds (including Joan) left their comment on the previous post. I made sure to include those comments in the drawings too. 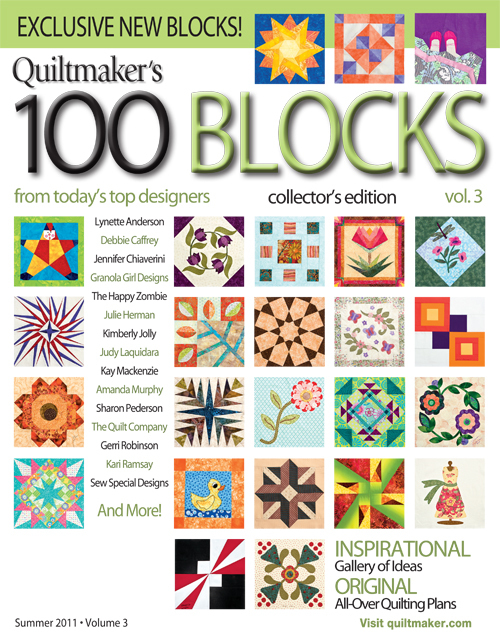 Today I’m writing about my entry in Volume 3 of 100 Blocks, a very special collector’s edition of Quiltmaker magazine that hits the newsstands May 10. Lookie! I’m on the cover! 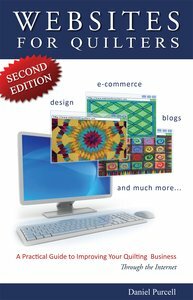 This is part of a superfun blog hop that takes you on a trip through cyberspace to find out more about the designers and what inspired them to create their blocks. 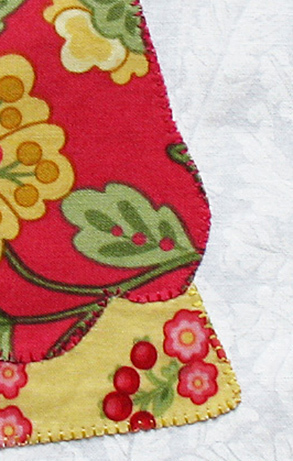 Since it’s me we’re talkin’ about, of course my block was going to be applique. After my book Easy Applique Blocks: 50 Designs in 5 Sizes came out, I immediately started on another batch of new block designs. Some of them weren’t right for my next book, Inspired by Tradition, so I had a bunch of designs piled up, awaiting their manifest destiny. It was easy to pull one out, stitch it up in the right size, and send it in! Done, done, and fun! Here it is, months later, Block #206! I used raw-edge fusible appliqué with a small machine blanket stitch. 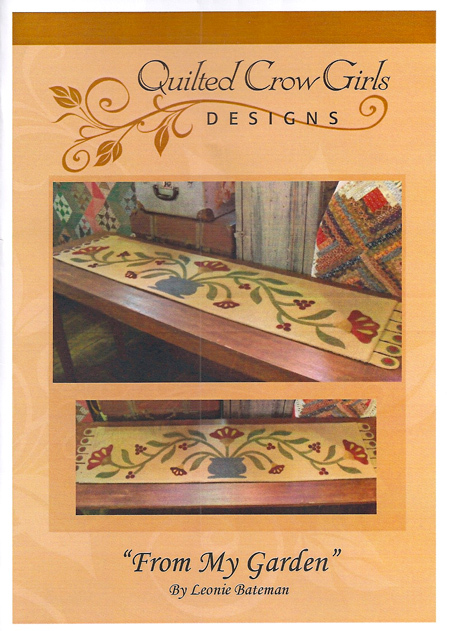 But of course, you can use whatever form of appliqué you like. 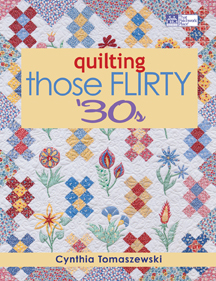 Follow the 100 Blocks Blog Tour daily May 2-6 at Quiltmaker’s blog Quilty Pleasures for inspiration, ideas and giveaways galore! 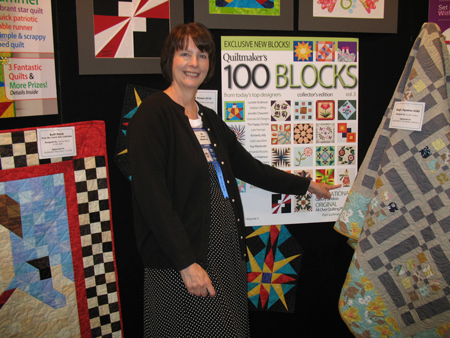 Look for 100 Blocks from Today’s Top Designers in your local quilt shop, or purchase it at www.quiltmaker.com/100blocks. I happen to have a couple prizes of my own! 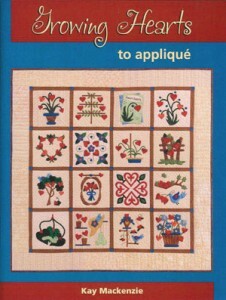 I have a copy of the magazine to give away, and I’m throwing in my book Growing Hearts to Appliqué for another winner. So leave a comment before 5:30 p.m. on Sunday, May 8, to enter the drawings! Thanks for visiting, come again soon! 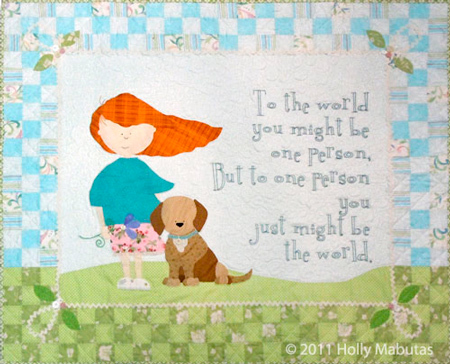 100 Blocks blog hop starts today! 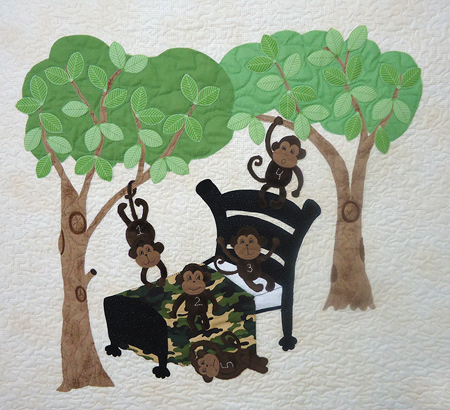 Hop on over to Quiltmaker’s Quilty Pleasures blog! 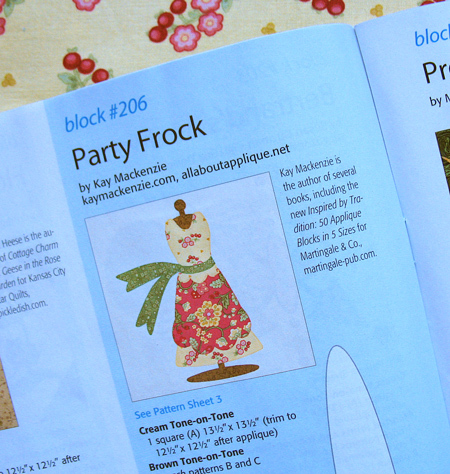 It’s the first day of the 100 Blocks Special Issue Volume 3 blog hop, with lots of great prizes. 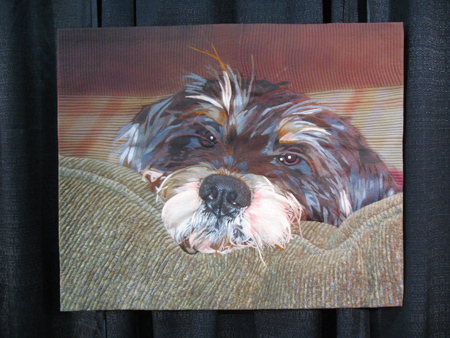 The hop goes all week, through May 6, so check back at Quilty Pleasures every day. My day is Thursday, May 5. See you then!